Mozart's Don Giovanni at the Theater Basel is a co-production with the English National Opera London. The production is directed by the British director Richard Jones and is conducted by Music Director Erik Nielsen. 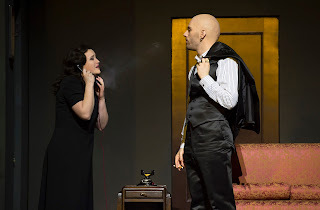 That the seducer Don Giovanni knows no boundaries, was already clear after the first scene, where no woman passing by can resist him, and he takes one after the other into his "love nest" and lets his loyal servant Leporello close the door behind them. Walls and doors connect different rooms or areas on stage and are a very important element of the opera, as they allow scenes to take place simultaneously and the play to switch quickly between the different scenes by moving the walls with the doors. After murdering the father of Donna Anna (one of his affairs), the daughter and her fiancee try to revenge his death. Don Giovanni - who is not concerned with the consequences of his behaviour very much - always gets away from his responsibility, and unlike in the original story he even gets away from the ghost of the murdered father through a deception in the end. For us the dynamics and the energy of the story were very strong, the ensemble was not only singing but also acting brilliantly and moving fluently over the stage and through the storyline. This production of Don Giovanni is timeless, as we think it is not clear whether it takes place at the end of the 18th century or somewhere in the 19th century. The only element that gives us a time frame is a public telephone booth and a telephone. The topic of Don Giovanni is a timeless topic that raises questions about social boundaries, moral and values and personal freedom and responsibility. Unlike the first two parts (Paradise Lost #1, and Paradise Lost #2 ), the third part of the Paradise Lost series was very interactive. The audience was part of the play, and it was an evening that appealed to all of the senses - seeing, hearing, smelling, feeling, tasting. 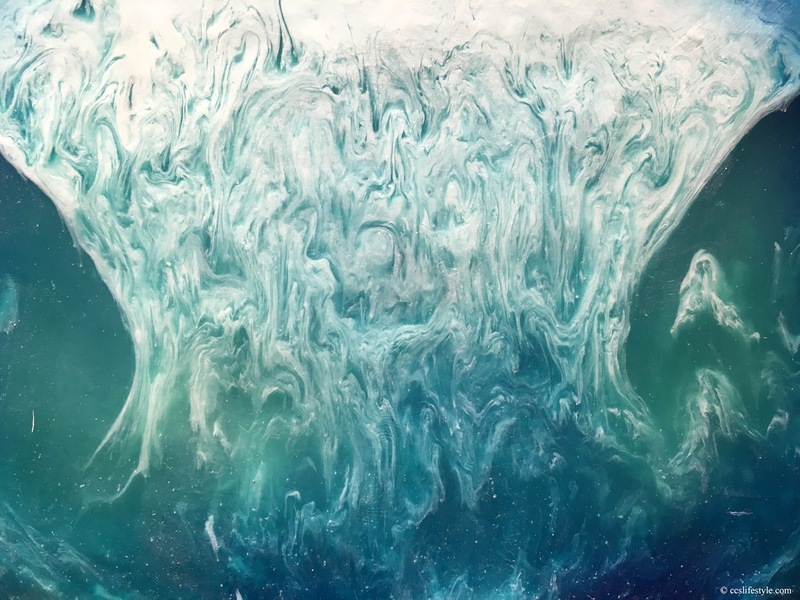 The evening was based on the concept of paradise as a garden, the interaction of the inside and the outside, about environmentalism, politics and activism. In search of balance and being one with oneself and nature there are two ways that are offered by the actors, fight or retreat. The audience is a key element of Paradise Lost #3 and gets motivated by the actors to perform various different exercises. The leading character of the evening (Daniel Cremer) uses a very special language to communicate with the audience; the language is called Fremdsprache which means foreign language and was developed by Daniel Cremer. 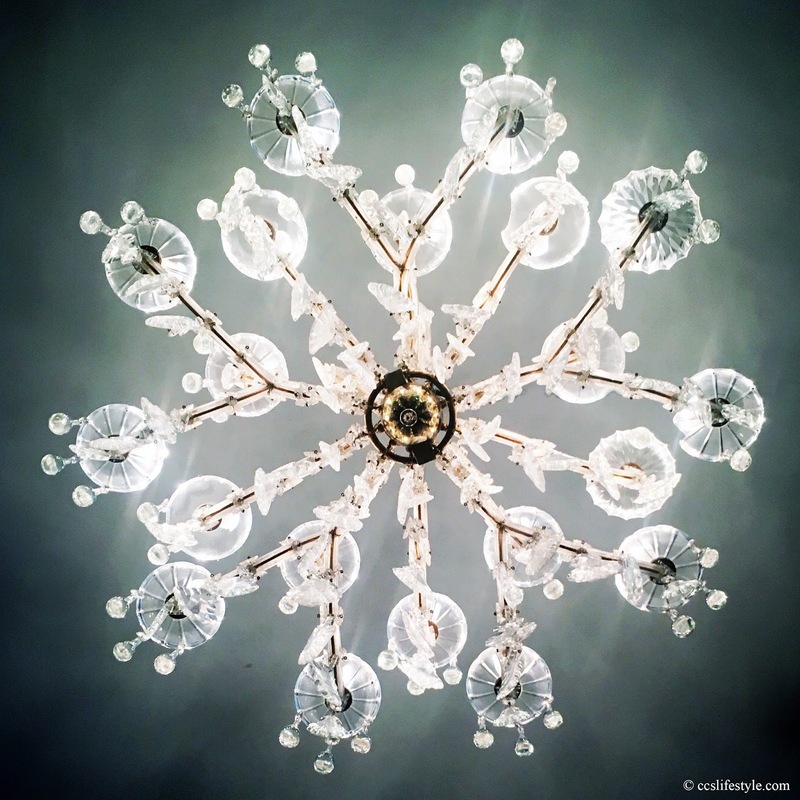 Fremdsprache is a mix of different languages and invented words, it is a type of communication that allows you to communicate situational and emotional. Understanding through not understanding, therefore you begin to focus on many other things. The audience followed the actors through several stations, in the foyer, on stage and outside the theater. During the evening, many questions were raised. How do we deal with current political and ecological problems like global warming, racism, scarcity of resources? Where does the individual end and where does the collective begin? How many people are needed to make a change in the world? For us paradise lost #3 was an incredibly thought provoking and interesting evening. It was not only a theme night about the current problems in the world but we see it also as a kind of a social experiment. We found it very impressive how fast it was possible to get a group of strangers to follow you and perform a range of bizarre exercises, how fast a feeling of togetherness was created and a group dynamic emerged. It was a very intense theater visit and we really felt more like being part of a workshop than being the audience to a play. We are looking forward to Paradise Lost #4. 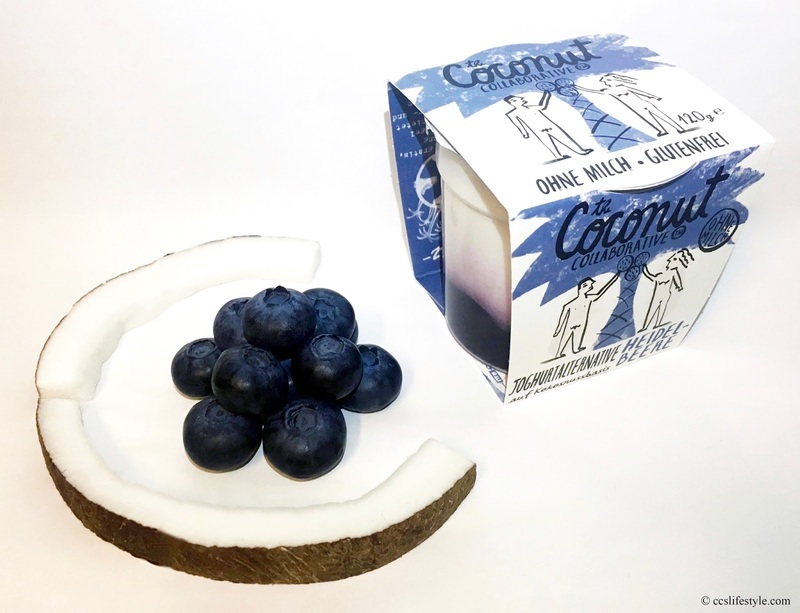 The coconut collaborative is a uk based company that produces frozen yoghurts, desserts and completely dairy-free and a gluten-free yogurt alternative, available in three different tastes, natural, blueberry and mango & passion fruit. At the moment there is a fourth taste available, strawberry, a limited edition coconut yogurt that was created in collaboration with breast cancer charity CoppaFeel. We love blueberries as they are very healthy, incredibly nutritious and one of the most powerful sources of antioxidants. The yogurt is absolutely delicious, the berries are at the bottom of the cup and covered by a very light and creamy and slightly sweet coconut yogurt. Mixed with the berries it results in a wonderful sweet and fruity blueberry coconut yogurt with no added sugars. The philosophy of the coconut collaborative represents everything that we think is important when it comes to farming and the production of products and food. As the source of all of their products is nature and the people working for them, they are determined to give something back to the planet and its people, by planting coconut trees, helping farmers and supporting charities. 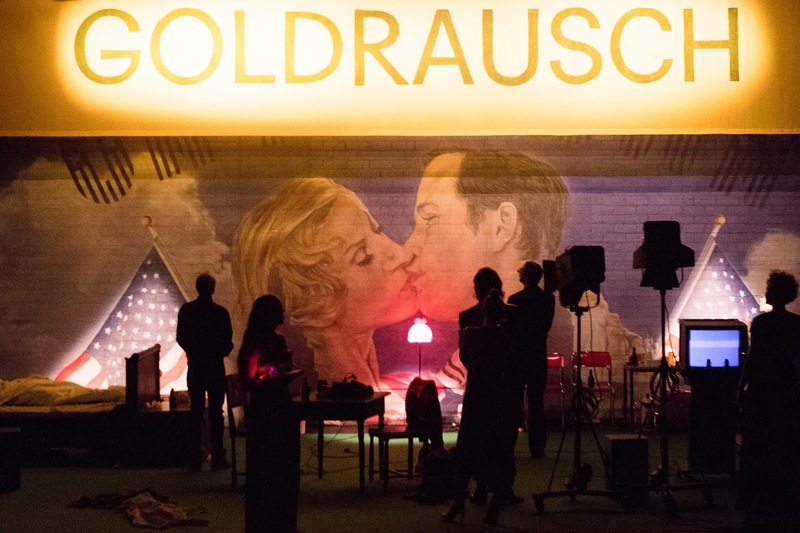 Gold rush at the Theater Basel is a play by Guillermo Calderón after Blaise Cendrars novel "gold". Johann August Sutter travels to California to escape from his debts, where he becomes incredibly rich cultivating his own land. After one of his employees finds gold, the gold rush begins and the land gets flooded by people from all over the world who want to become rich fast and easy. As the invaders take over the farm and leave the land poor after the gold rush, Sutter loses everything. Guillermo Calderón's gold rush plays today, at a movie set where a moderately successful director tries to make a movie about Johann August Sutter. As his past movies where not very successful, he decides to add some contemporary factors to the story, to make it the success he has always hoped for. It turns out his co-workers are not too happy about his change of plans. The play is very entertaining and the historical facts are mixed with contemporary problems. The music is live, during the play the actors come together from time to time to sing a song, accompanied by a guitar or even violins. It is a play about ambition, life goals, success and loss and many of the "Sutter traits" can be found easily in the modern characters. The organic Run for Løv tea is an invigorating, healthy drink perfect for all physical activities like yoga, fitness and running. Especially when practicing it is important to drink enough and the run for løv tea keeps you hydrated and is as delicious when it is served hot as it is cold. It contains organic apple, hibiscus flower, rosehips, pomegranate, blackcurrant and goji berries. When opening the tin can the wonderful fruity scent of the tea is immediately noticeable, it is very fresh and it also tastes very delicious, with a natural fruity sweetness. The run for løv tea is caffeine-free so you can also enjoy it in the evening. 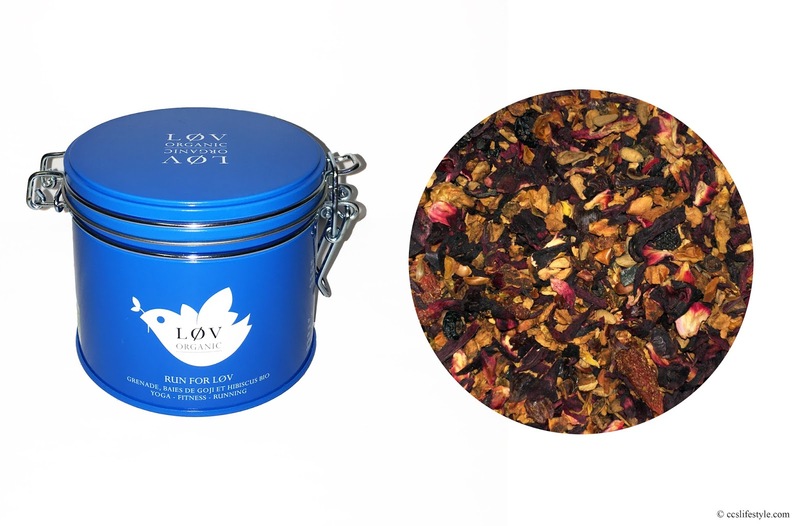 We love the løv teas, as they are made from only organic ingredients and are both delicious and also environmentally friendly. For many of the løv teas you can buy refill bags, so once your tin can is empty you don't have to buy a completely new box and can just get a refill package.